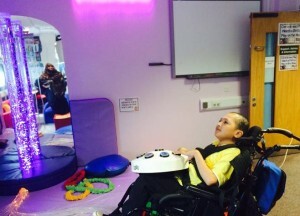 One of our young visitors, enjoying the interactive lights in the bubble tube in the Resource Centre. new Park, that’s free to explore! The Park Mobility is currently only available on a Friday and Saturday , 10am until 3pm while we assess demand for this new customer service. At the special request of local play schemes and holiday clubs we are bringing back THE LEGO MOVIE and RIO 2 for Autism-Friendly screenings at Clapham and Greenwich Picturehouses this Summer. These will also be open for bookings from families shortly and the details are as follows.